I would like to introduce myself….. My name is Annie Streit, and I am a resident of Angola, IN, and a Ball State University graduate with a degree in Social Studies Education. My first published children’s book is titled Scooter and His Scoot Scoot. It is a heart warming story about a joyful dog named Scooter. Scooter was born different, but with the aid of his scoot scoot, he does not let anything slow him down. Scooter and his friends help teach us that everyone is different, and it is what’s in our hearts that truly matters. The second published book in my series is based on a true story about a golden retriever’s journey to find her forever home, and it is titled A Dog Named Bird. Bird shows us all how to never give up and how to have a positive outlook on life, along with the importance of fostering and adoption. I have been wheelchair bound since I had a diving accident in May of 2005. 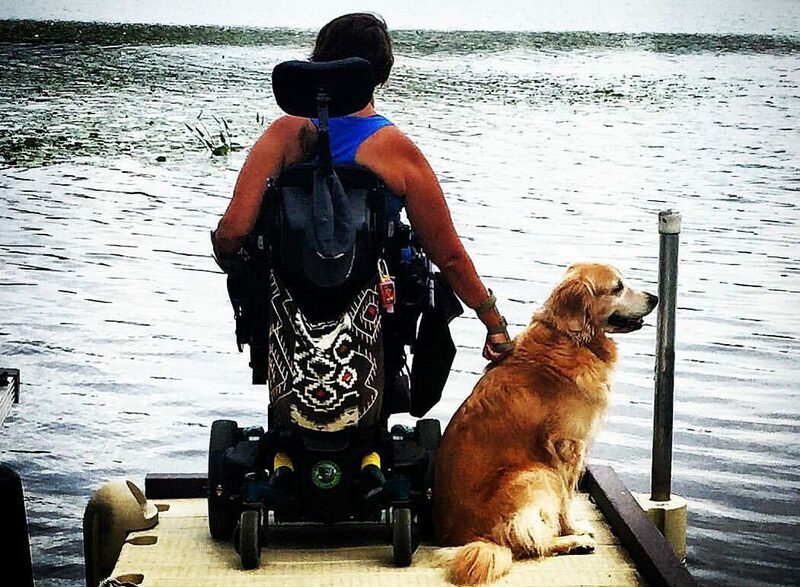 Scooter’s story stems from my own experiences of navigating through life in a wheelchair. I have spoken to many groups about my accident, adapting to life in a wheelchair, and overcoming obstacles. I have a true passion for working with children and being an advocate for those with disabilities. I plan on being able to use my books as another way to reach out and educate children on the importance of acceptance, and being able to see past outward appearances and differences. Click here to watch a short news clip on me!